Has been with our pharmacy since it opened in 2011. Kim graduated from the St. Louis College of Pharmacy. After pharmacy school, she worked for the University of Missouri, Columbia in the outpatient pharmacy. Her experience includes almost 20 years at the Wal-Mart pharmacy in Jefferson City and almost 3 years with Roberts Drug Store. Kim is always happy to help new and existing customers with their medication questions. Kim and her husband reside in Jefferson City. Kim’s husband is the local meteorologist and is on active duty with the National Guard. Kim has three children whom she is so proud of. Her eldest daughter recently graduated college and is now working full time, her son is in college and plays hockey and her daughter is a Junior in high school and plays soccer so this family is always on the go! At a young age Calli knew she wanted to be a pharmacist because she wanted to help people get well and feel better. 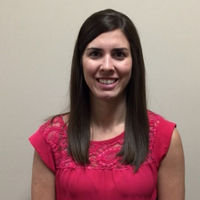 In 2016 Calli graduated with honors and received her Doctor of Pharmacy degree from St. Louis College of Pharmacy. Upon graduation, Calli began her career with Roberts Drug Store. 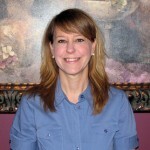 She enjoys working in the community and establishing relationships with patients and other healthcare members. In April 2017 Calli married her high school sweetheart. Calli and her husband enjoy going camping and fishing in their free time. They also like spending time with family and friends.